Turns out this character – who is in fact, a real person – came along with the package when I started dating Brad. 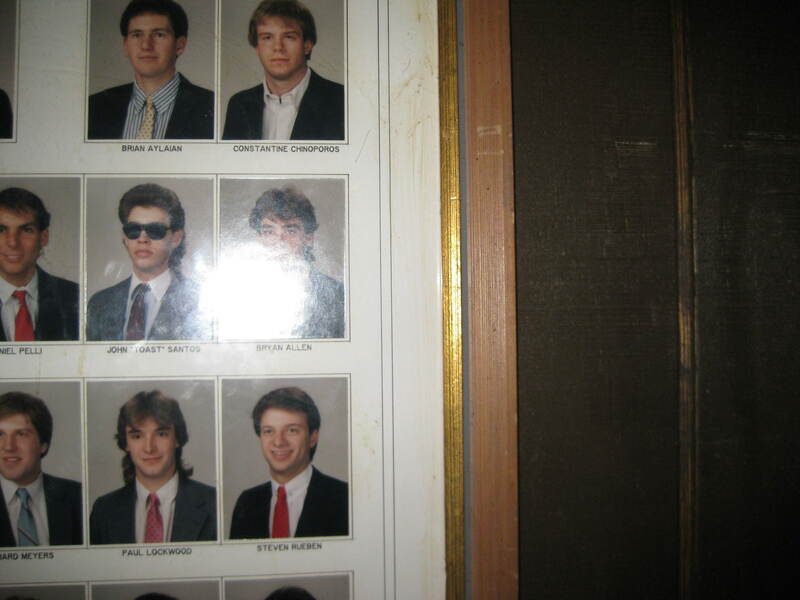 He hides in the Sig Ep composites between 1988 and 1992 that hang on the walls of a bar in Ithaca called ‘The Chapter House”. And now he is a huge part of my life. I learned early on in my relationship with Brad that he had a friend he called Johnny Toast. I knew his real name was Steven, but he was in Brad’s phone as Johnny Toast and he was usually just called “Toast”. And before I had been to Ithaca, Brad couldn’t explain the nickname to me. He just swore he would just show me one day. Doesn’t that picture just explain why you have to see it in person? 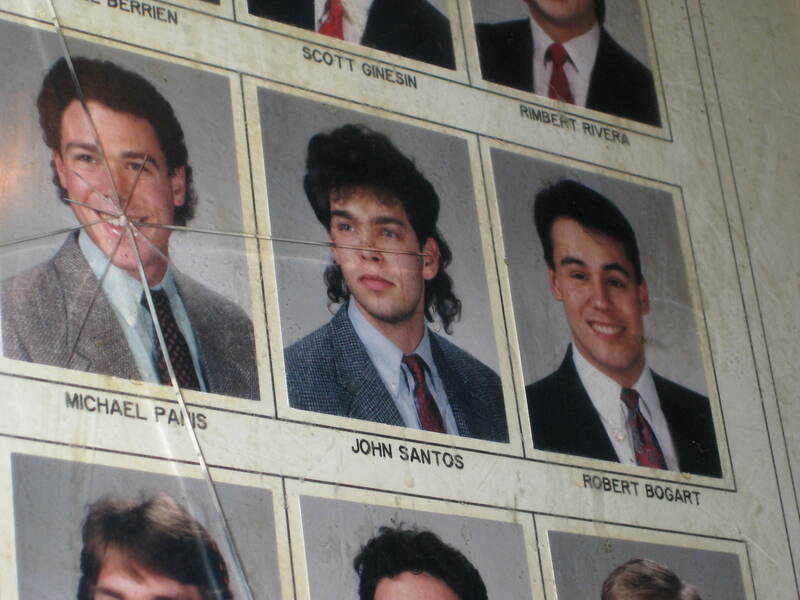 All of the other 1988 SigEps are completely normal 1988 Cornell University students. Nice suits, nice ties, neat hair and a pleasant frat-boy smile. First of all, his real name is John Santos, but doesn’t go by that. 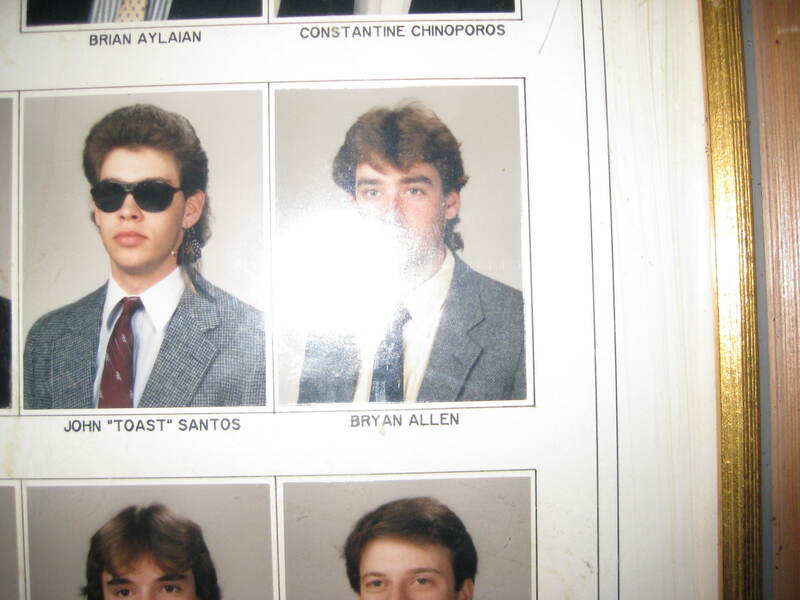 He is the only one on the composite with his nickname included and the only one rocking a mullet and those fly 1988 sunglasses. He is just so FRESH! Steven and Brad were immediately drawn to this fly mentor-from-another-generation and started using “Toast” not just as a nickname, but as a real way of life. Words like “Toast-mostest” were added to their vocabulary. I have Toast coasters (Toasters. Serious.) in my apartment. Toast became an icon among all who knew them. How did he come to be so fly?? Believe me, we have done many a late-night intoxicated Google search to try and find out more about this man of mystery. You know, just to see where all that freshness got him. And to see how much more fly he could have possibly gotten after graduation. I bet he wears Louboutin slippers and a velvet robe and just smokes cigars all day. And I bet he NEVER takes off his sunglasses. I mean, just LOOK at him! I wish they had Facebook back in 1988, because no one can find Toast. My little sister, Nicki, has been to the Chapter House and knows all about Toast. She can find anything online. Stuff that I wouldn’t even know could be online, she finds it online. But one day she was at a coffee shop in Delaware where they happened to have a few old Cornell yearbooks laying around. There he was – Mr. Toast – in the black and white pictures with his other Sig Ep brothers in a Delaware coffee shop. My faith in Nicki’s searching abilities were restored with that picture message. Sadly, I am lead to believe Johnny’s freshness didn’t last too much longer after his freshman year. 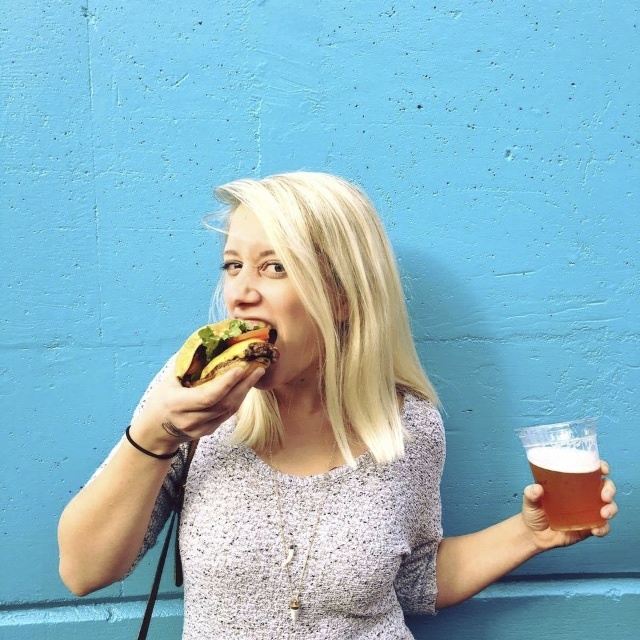 We don’t really like to admit it, but this picture of Toast hangs at the Chapter Room also. It’s from 1991. Still rocking that party-in-the-back hair cut, but maybe he was over the shades by ’91. And what happened to the “Toast”? Is this the more mature Toast? More undercover? Was it just cloudier that day? We pretty much gave up our search when Steven’s mom, who works at Cornell, couldn’t even find him through alumni records. And after Nicki’s failed Googling, we put our search for John “Toast” Santos on the back burner. I think at one point we were looking to send him an invitation to our wedding. I had probably been drinking when that decision had been made. He never got his invite, but don’t worry, he was definitely there in spirit. The boys made sure of that. No mullets (or pants, apparently) required. I may have found Johnny Toast! The vineyard manager of Hazlitt 1852 Vineyards in Hector, NY (Finger Lakes area) has a forestry degree from Cornell. And there’s a couple interviews on YouTube. He has bushy eyebrows and a full lower lip like The Toast. This person has a full beard, so it’s a little hard to tell. I would like to think this is him, anyways! If you are still looking for “Toast”, I can direct you to him. He is still in the area. E-mail me and I will fill you in. John “Toast” Santos has been workin in Hazlit Winery since the mid 90’s.